Parkwood Parkwood LPO Shop 35 2214 willeri drv parkwood. Order through the website to get a quick delivery and free postage or contact your local Pro-sho to check stock levels. 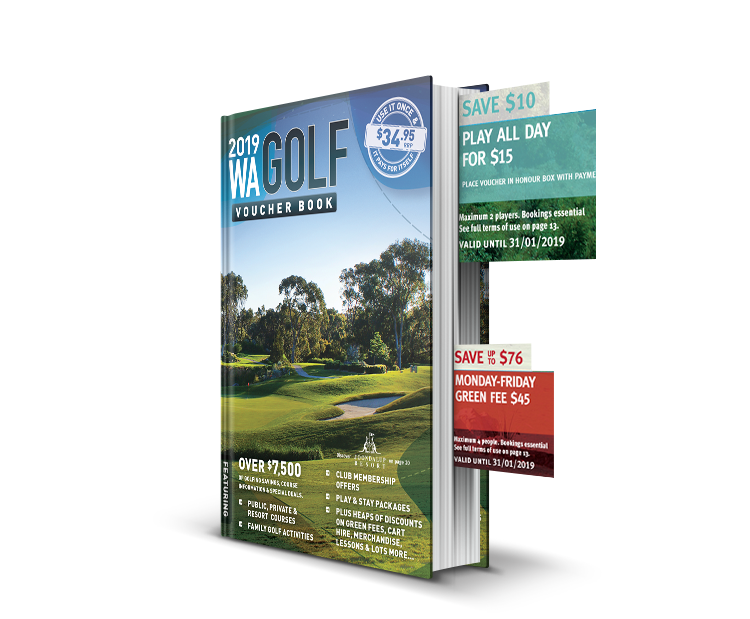 If you would like to advertise in the next edition of the WA Golf Voucher Book please contact Adam on 0404 858 377 or adam@wagolfpromotions.com.au. Rates are very affordable and we reach a huge part of the WA golfing community through the website and book every year. We also have fundraising options available for charity groups, social clubs sporting groups and any non for profit event. We offer great rates and a good margin for interested parties. It is easy to set up and we offer email and flyer templates to help promote the book. Books can be ordered on a sale or return basis. It makes a great gift for any golfer and is a perfect Christmas stocking stuffer!! Please email adam@wagolfpromotions.com.au for an information pack.